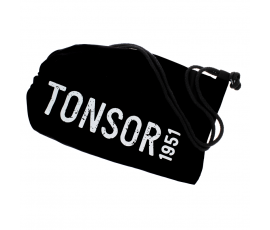 Tonsor 1951 OLEUM Beard Oil is a grooming oil that deeply softens the beard, providing an anti-frizz effect. Detangles and repairs while hydrating and avoiding beard breakage. From the Latin "Oleum", it is enriched with Almond Oil, Sunflower Oil, Linseed Oil and Argan. Deeply softens the beard, leaving it shiny and manageable. Nourishes without weighing the beard down. Protects the beard from external agents and bad smells. Almond Oil prevents beard dehydration thanks to its soothing and softening properties. Renews while adding strength and shine. Hydrates the beard, avoiding breakage. Rich in Vitamin E and B, it leaves hairs supple. Sunflower Oil hydrates and nourishes while providing an antioxidant effect. Slows beard photo-ageing down while smoothing it. Extremely rich in unsaturated fatty acids, such as Linoleic Acid and Oleic Acid, Omega 6 and Omega 3 precursors, and in Vitamin E, a unique anti-ageing ingredient. Linseed Oil nourishes and renews the beard, leaving it smooth and providing even the driest beards with anti-frizz effect, thanks to Omega 3, Vitamins and Minerals. Argan Oil fast absorbs without leaving residues while providing anti-frizz effect and antioxidant effect. Nourishes, detangles and repairs. Rich in Vitamin A and E and unsaturated fatty acids, it provides hydration while protecting from ageing. Apply a few drops of product to your damp or dry beard and to your skin. After drying, apply another drop of product if needed. Use only a few drops of oil as it is a real concentrate of active ingredients. To be used in the morning, before starting your daily routine. 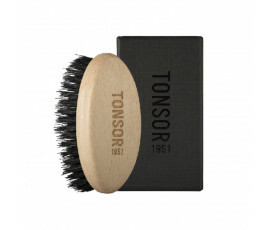 Use it every day in combination with Tonsor 1951 Victoria Shower Gel and Oleum Beard Oil for brushing and detangling easily all the knots and providing a well-groomed and glamorous style.